Fires are over!The pictures say it all. Cleoroseanna, Cheer Cheer, and Dr. Steve (actually Dr. Klein) with Steve doing Blue Steel. Orie is definitely brawny as a lumberjack! Mr. Skeleton gets to stand up and party! After all it is his day! Dr. Torriani has gone batty. Cheerleader Cheng Cheng, Patient Brian, and Dr. Steve (actually Dr. Klein) say hooray for chiropractic! Jessica has no idea she about to get axed. 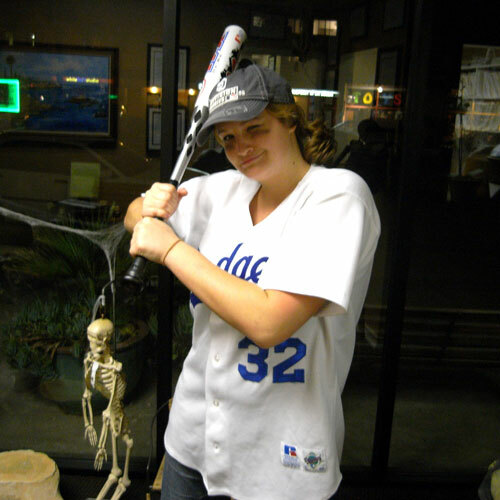 Kelly is next up to bat. Skeleton gets kissed good bye at the end of Halloween (he was sad) and homeboy Fajar and the gang get funky! what do you get when you add man plus brawn?? 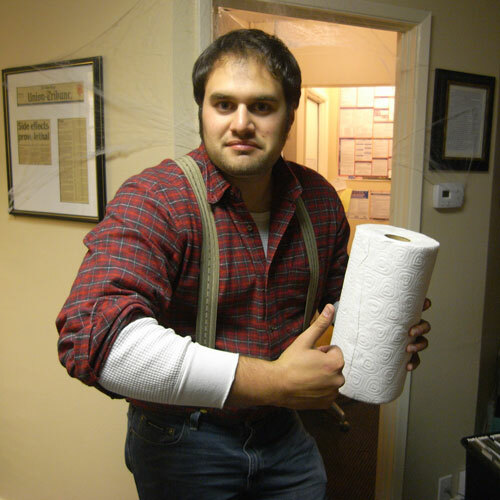 BRAWNY paper towels. 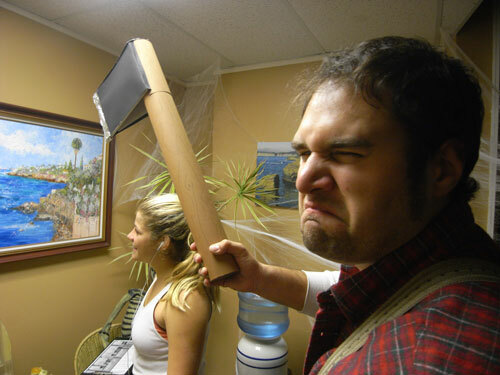 How did I go from lumberjack to a axe carrying murderer? Wow, if I knew Steve was adjusting, I would’ve made the trip down from LA. Awesome pics!